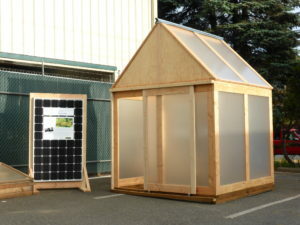 tek Energy, of Bellingham, WA uses a very special sheet glass for their solar panels. With anti-glare properties and a prismatic sub-surface texture, this ultra-clear, low iron tempered glass is engineered for high performance in both diffuse and low light conditions. Unfortunately, not all sheets of glass pass Itek’s strict 30 year warranty qualifications. Recycling this glass isn’t possible due to the time and labor intensive sorting that must occur prior to the melting down process. For this reason, the recycling industry has said “no” to recycling sheet glass. At The RE Store, we have found a way to keep these slightly imperfect sheets out of the landfill through our Manufacturing Waste Diversion program. In the past two years, Itek has donated over 50 pallets of glass, totaling over 4,500 sheets to The RE Store. Through this unique partnership, we are able to keep this glass in the system, and encourage our community members to re-purpose this high quality product. 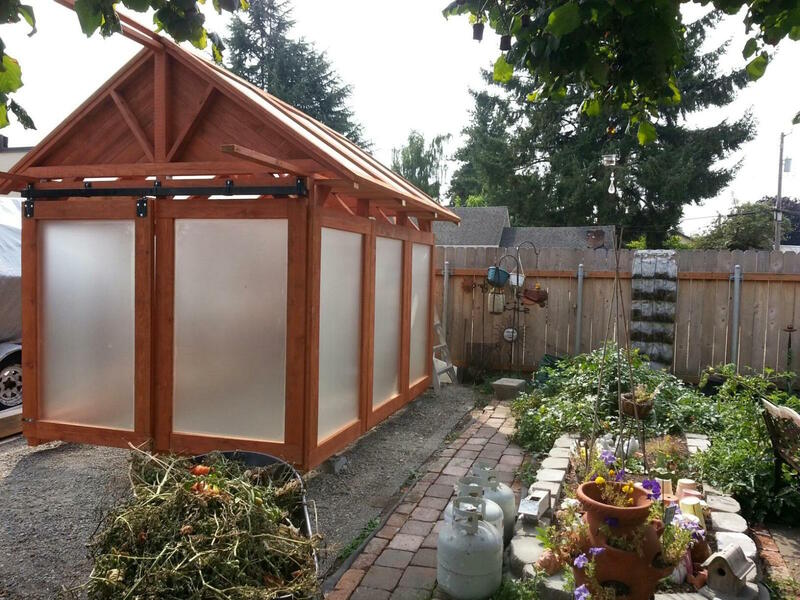 Glass greenhouses and cold frames are a perfect way to re-purpose solar panel glass. The rough sub-surface texture (referred to as “prismatic”) on one side of the glass is designed to trap light, repeatedly forcing the light energy into the solar cells, instead of allowing it to reflect back out. When used as greenhouse glass or as a cold frame, this glass traps more heat and light for your plants. 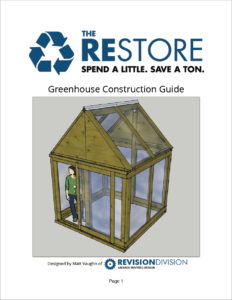 If you’re interested in building a glass greenhouse, we can take the guesswork out of the design process with our Greenhouse Construction Guide. This easy to read guide will walk you step-by-step through the build process, from preparing the ground, to cutting each piece of wood and assembly. Pick one up for $20 at The RE Store at 2309 Meridian St., Bellingham, WA 98225.